Nylon String Guitars are where the designs started. Early models can be traced back to the 14th and 15th centuries. The book "The Complete Guitarist" by Richard Chapman contains a detailed timeline of the history of the guitar, showing the development over the years into what we now have. Nylon strings usually have 3 solid nylon strings and 3 silver wrapped strings that have multiple strands of nylon for the core. 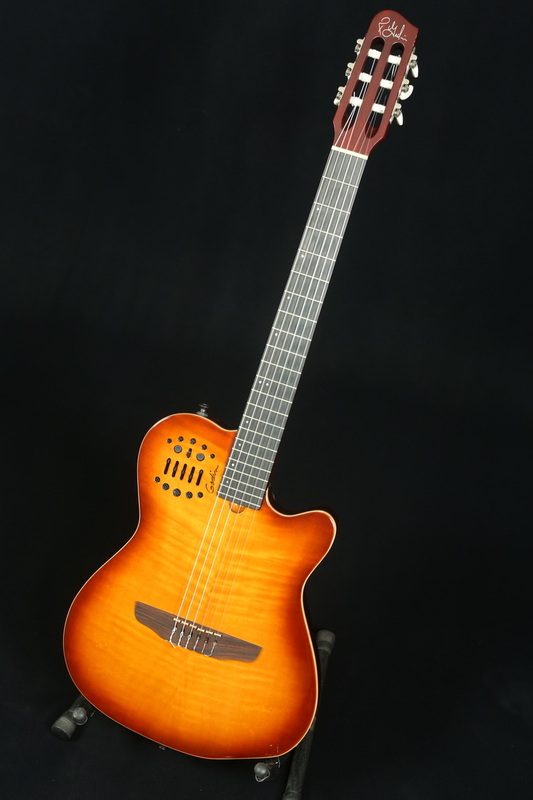 Nylon string guitars can have preamps, but they are still considered acoustic guitars.